So, Mister “Wrote-A-Zombie-Book-Guy,” where are you weak on zombies? The answer is: Zombie songs! Lars Fredriksen and the Bastards--These men know zombies! But I don’t want to be! I would love to learn more zombie songs. When the Zen of Zombie first came out in late 2007, I went on WLUW in Chicago to talk about zombies and play some of my favorite zombie songs. When I got to the station, I spoke with this program director-type-guy who asked me which zombie songs I was going to play. Then he named his favorite zombie songs–like 10 or 15 of them–and to my horror I realized I had heard of exactly zero of them. Clearly, I have more to learn about good zombie music. Then there’s everything by Rob Zombie, White Zombie, and so forth. I had a fun time discussing zombies (and my book The Zen of Zombie) on the Rick Barber show last night! Rick is indeed a character. To hear my appearance as a podcast, click here. Attention insomniac Denverites: Tomorrow (Thursday) morning at 6am EST (4am Denver time), I will be on the “After Midnight with Rick Barber Show” on KOA 850 AM in Denver, Colorado. I will be Rick’s guest for a full hour, and we will talk about zombies and zombidom! Apparently, KOA is one of the few stations at 50,000 watts (the largest broadcast-range allowed by the FCC), so you can hear it hundreds of miles away. 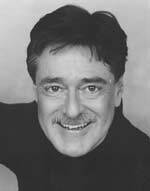 Rick’s program director says that it can be heard in 38 states, and has an estimated audience of over 1 million people. So anyway, it sounds like you can tune it in even if you live outside of Colorado. I am excited to do the show, and am trying to think of interesting zombie things to talk about. I haven’t been on the radio since I did the Alan Colmes show a couple of months ago, and that was just for five minutes. This will be a chance to go into zombies in a little more depth! This coming Sunday will mark 35 years since the passing of Mantan Moreland, a American journeyman actor who attained modest fame in the 1930’s, 40’s, and 50’s for playing comic foils, frequently in B-grade horror films. (Probably, his two best known zombie films are King of the Zombies and Revenge of the Zombies.) Horror-wood.com describes Moreland as “an American original whose work in film was usually better than the films themselves.” I can’t put it any better than that. But too few zombie fans (and horror fans) are familiar with Moreland’s delightful work. I suspect that this is because he is incorrectly lumped-in with actors of his day who perpetuated negative sterotypes. 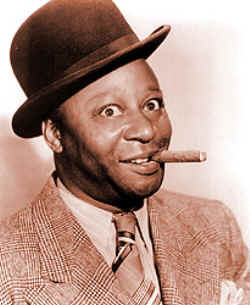 In Moreland’s era, there were actors (with racist names that make me cringe just to type) like Stepin Fetchit and Sleep ‘n Eat who definitely perpetuated stereotypes of African Americans as lazy, dull-witted, and servile. However, Moreland’s performances should not be lumped-in with theirs. Moreland’s humorous, easily-flustered characters reacted to zombies (and other monsters) in ways that were funny to watch. (That was usually the point of the film–or at least what the filmmakers were counting on to be funny and entertaining.) This comedian-encountering-monster setup was an accepted formula for many comic-horror films of the time, regardless of the race of the actors involved. So I feel like there’s a double-standard when people call Moreland’s films racist. It’s like, Bob Hope can stammer and bug-out his eyes when he sees a zombie (as he, in fact, does in films like the 1940 horror-comedy The Ghost Breakers), and that’s perfectly fine. But when Mantan Moreland does the exact same thing, it’s racist? What? I guess the characters Moreland plays can be said to be “servile” in that they’re usually butlers or chauffeurs or what-have-you, but you’ve got to remember that it was 1939. If Moreland’s character had been the Vice President of the United States, the film wouldn’t even have been called King of the Zombies, it would have been called Holy Crap!!! Black Vice-President!!! or something. The zombies would have been incidental. But I think the greatest vindication of Mantan Moreland (and his work) comes from his peers in Hollywood. When Shemp Howard died in 1955, Mantan was seriously considered as an addition to the Three Stooges. And Bill Cosby (an actor who definitely has zero-tolerance for negative portrayals of African Americans) cast Moreland to play his uncle in the original 1969-1971 Bill Cosby Show. Yesterday I was contacted by a guy who has created a parody video for “Perfect Day” using attendees at a British zombie convention held earlier this month. I think it’s delightful, and am happy to share it here. First, here is the original video. And here is the much superior zombie version. Note: While you may appear to see zombies in the first video, please be assured that they are only Lou Reed and David Bowie. Full Disclosure: I was invited to be a contributor to Zombie CSU, and then my contribution was cut in the editing process. Probably, it is not possible to objectively review a book after this has happened to you. However, Zombie CSU is an interesting tome that deserves a review, so I’m gonna give it a go. Final Assessment: I think it’s a good book. In taking such a wide and eclectic survey, Mayberry has done a sort of study in “zombie phenomenology.” Zombie-culture evolves, you see. 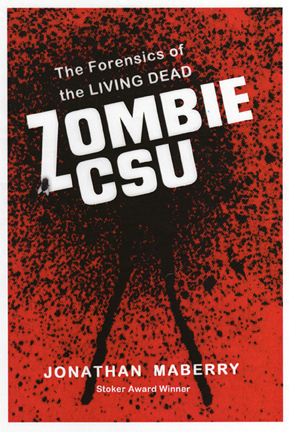 And if a cultural historian in the distant future needs to know “What was zombie-culture like back in 2008?” then he or she will need look no further than Zombie CSU for a definitive answer. Not every post on this blog will be about zombies, and today I want to write a post about Travis Barker. Barker is one of the most important living drummers, and on Friday he was in a plane crash that killed several people and put him in critical condition. 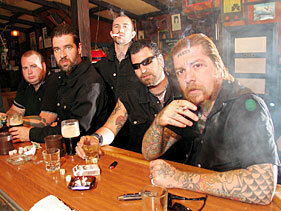 Barker is known for playing with many groups, including Blink 182, and one of my favorite bands, the Transplants. Think you haven’t seen Barker before? Well, if you watched the Superbowl this year, then think again. Remember the silhouetted drummer you saw playing crazily over the opening sequence graphics? 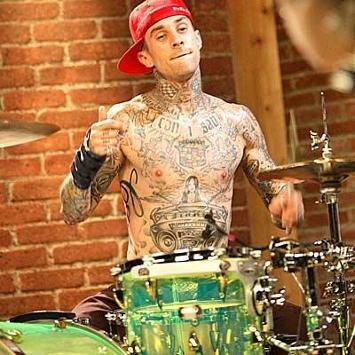 That was Travis Barker. In technical drumming terms, I think Barker’s biggest innovation has been the addition (in a traditional four-beat) of an extra hi-hat note, performed with the left hand, on the “and” of the “four” in each alternating measure. You can hear him play it on songs like “Sad But True” and “Quick Death” by the Transplants. But the beat gets picked up by everybody, and is really, really influential. Barker has been a big influence on my drumming personally, and I hope that he recovers and gets well soon. I am totally bummed about this!